What kind of horror can one expect from the home of the “Texas Chainsaw Massacre?” Gut wrenching, nightmare inducing, curled-up-on-a-blanket horror. That’s what. If you’re a Texan-sized fear junkie, then look no further than the following best haunted attractions for your share of scares this Halloween. The Dark Hour Haunted House in Plano, Texas, has been called “One of the Nations Scariest Haunted Houses” by USA Today. Dark House offers “sets worthy of a Broadway production, professional actors, as well as strategic use of technology.” The result? One of the most terrifying attractions in the country. Scream Hollow Wicked Halloween Park offers 20 acres of horrifying mansions. The four main attractions include the Mansion of Terror, Zombie City, Slaughter Circus, and Wicked Darkness Maze. This is a no-contact haunted house, but the actors will jump out at you. 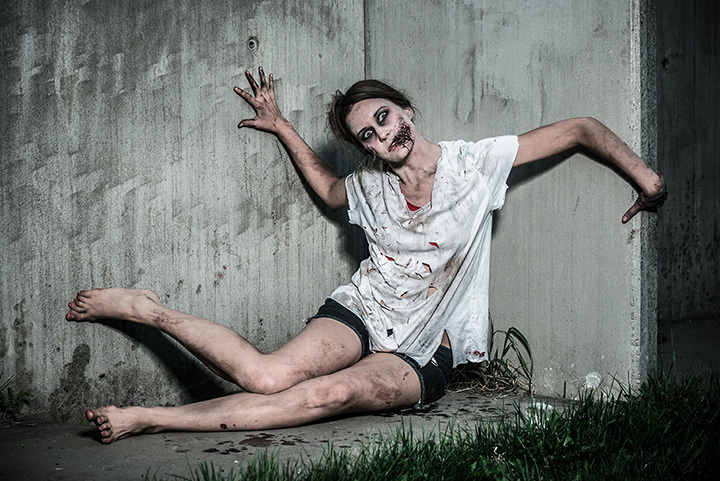 The Terror Trail Haunted House in Canutillo, Texas, offers two incredible experiences. In addition to the Terror Trail, visitors can participate in the Zombie Adventure, in which you take on the role of a zombie task force member prepared to stop the apocalypse. Get ready to save the world. The Creepy Hollow Haunted House in Rosharon, Texas, is bigger than ever, and only growing from year to year. This multiple award-winning attraction includes escape rooms, a scare factory, dark woods, and more. Not for the faint of heart. Thrillvania includes the “World Famous Verdun Manor,” a real-life haunted house. If you survive with your soul intact, it’s time to head to Cassandra’s House of Clowns before heading to Sam Hain’s Trail of Torment. Thrillvania has won multiple awards, including from Hauntworld.com, America’s Best Haunts, and more. Fort Worth’s Cutting Edge has broken two world records, including “World’s Largest Haunted Attraction,” and “World’s Largest Walk Through Haunted House.” If that isn’t impressive enough for you, it has also been featured on the Travel Channel as “America’s Scariest Haunted Attraction,” a Top 13 Haunted House, and many, many more. Located in a 100-year-old meat packing plant, the Cutting Edge provides an hour of ghastly delights. The House of Torment is among the very best. Check out creepy scenes including the Possession, the Frenzy Dark Carnival, and the Deranged, all available for the price of one ticket. The House of Terror has been called “One of America’s scariest haunted houses” by Travel Channel, “A world class scare” by ABC News, and “One of the most elaborate seasonal haunted attractions in America” by Fangoria Magazine.